Becoming a valuable employee is an important goal for those of us who want to advance our career. But how do I get there? How do I stand out from the crowd? 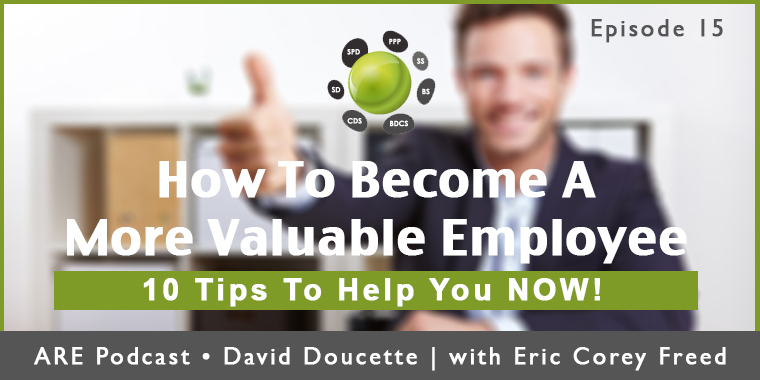 Eric and I discuss 10 tips to help you become a more valuable employee. It’s important to embrace these 10 tips to help you stand out from your peers and there’s a pretty good chance your peers are too lazy to embrace all 10. So be sure to seize the opportunity! How many of the 10 tips are you actively engaging in? Let us know in the comments below.